Clients can visit the Porch once a week. 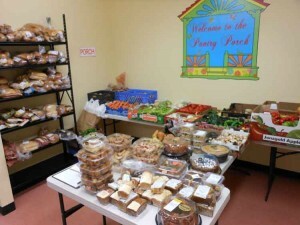 It is open on Monday, Wednesday and Friday afternoons from 1:00 until 2:30 P.M. Usually there is a variety of breads and fresh produce, as well as milk and other food items donated by local grocers and our community’s many gardeners. This area is known as the Pantry Porch because the first Pantry Partner building had a large porch where these items were displayed. The name was continued in our new building. 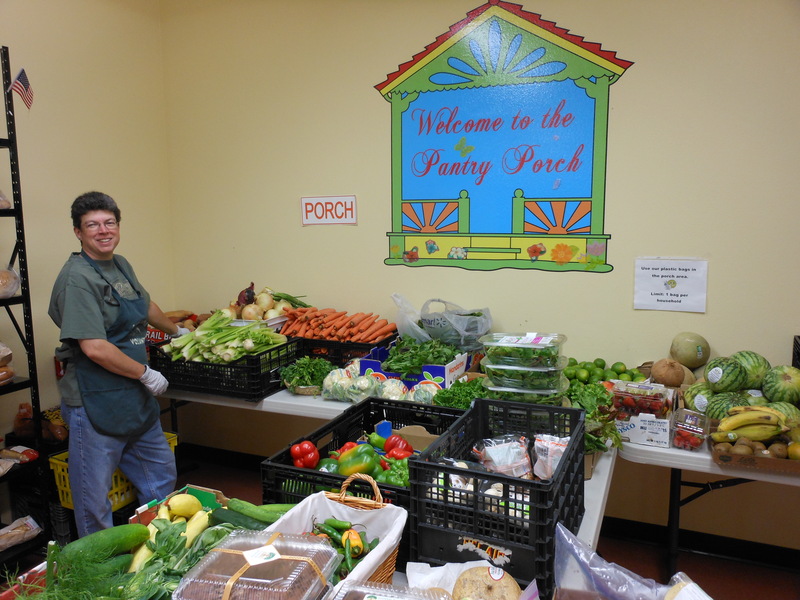 Volunteers (gleaners) conduct a second harvest by driving to area grocery stores, including Burnt Fork Market, Super One, Gary and Leo’s, Harvest Foods and The Good Food Store each week to pick up donated items for the Porch. 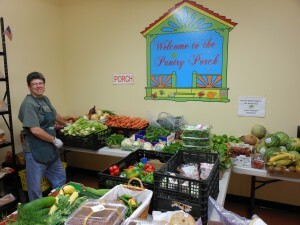 Clients can pick up several pounds of healthy, fresh food each week from the Porch, even in the winter months. During the summer months, we are blessed by the oodles and oodles of fresh produce our neighbors bring in from their home gardens to share with our clients. In one week of August of 2016 we received over 550 pounds of fresh vegetables grown here in our valley. Our clients are so blessed to have such high quality, fresh produce to create nutritious meals for their families! A few of our wonderful local nurseries also donate vegetable plants so that clients can grow their own food. These nurseries include the Cottage Garden Greenhouse and Browns Nursery.